Outside of the big names, many smaller companies made fine vintage pens. 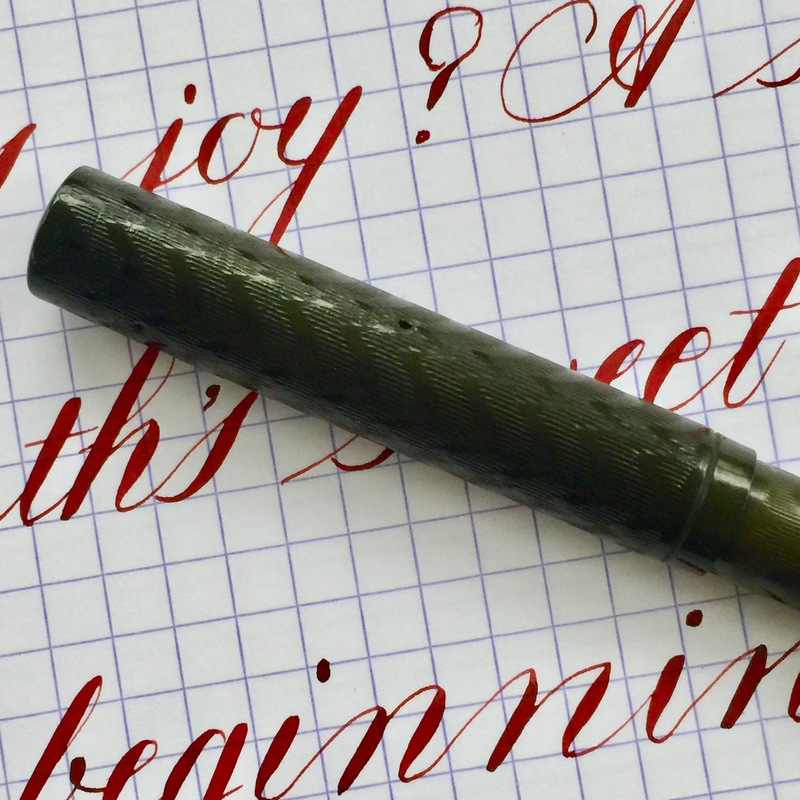 This BCHR eyedropper, which is a near replica of a Waterman 12, is a fine example of such a pen. 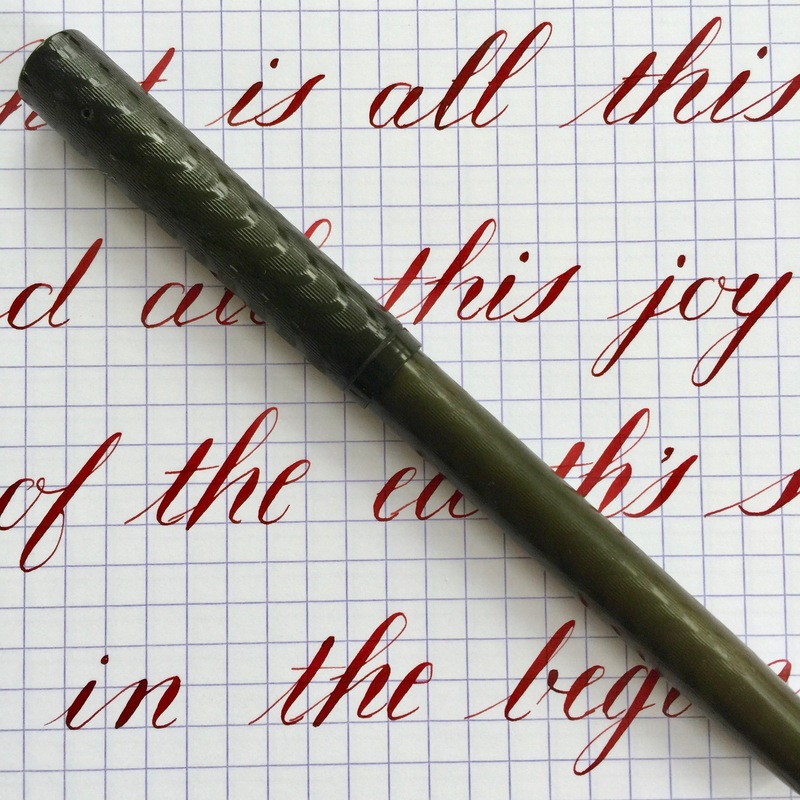 There is no brand on the pen, but it did have an Aikin Lambert nib. 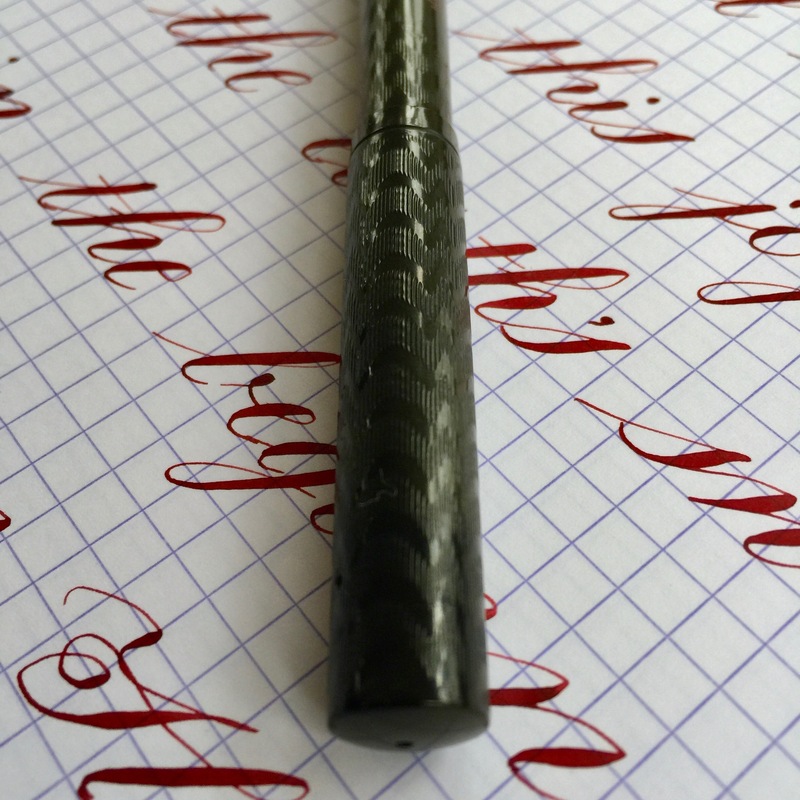 The black chased hard rubber on this pen has faded to a dark blackish gray brown. The chasing on the cap is near perfect. 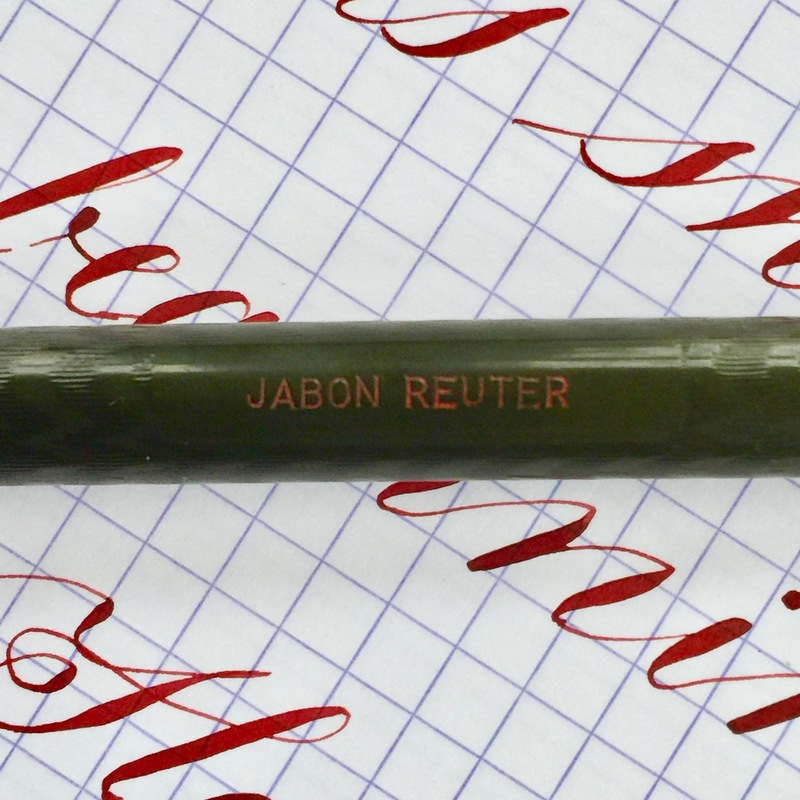 It has faded some on the body from use, but is still in pretty good condition .The name “Jason Reuter” is engraved on the side of the barrel. The 14kt. #2 Aikin Lambert nib is a beauty. 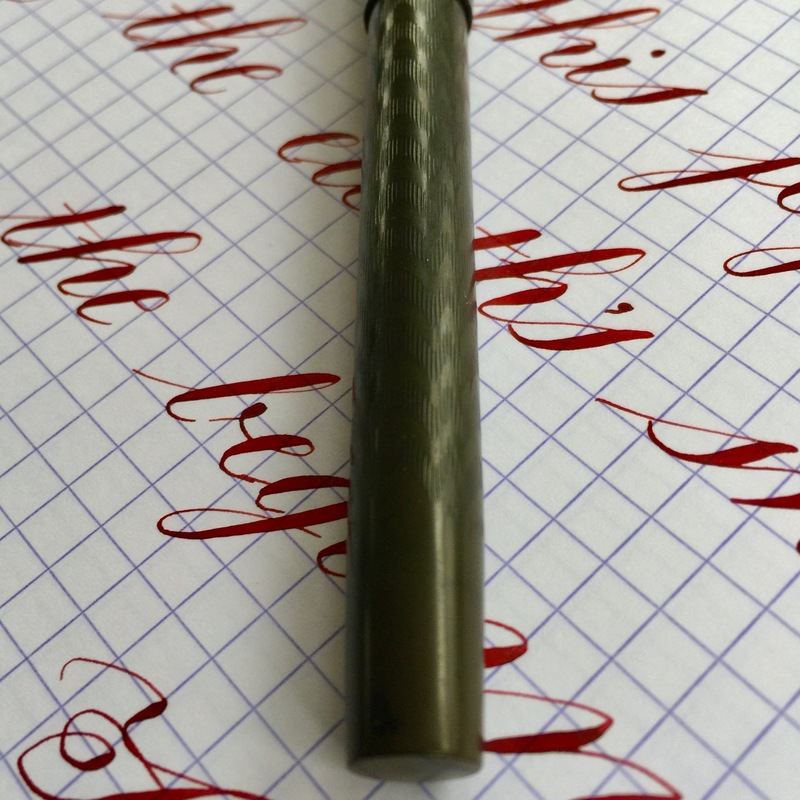 It’s a XXF flex nib. The XXF is pretty wet for how fine it is. 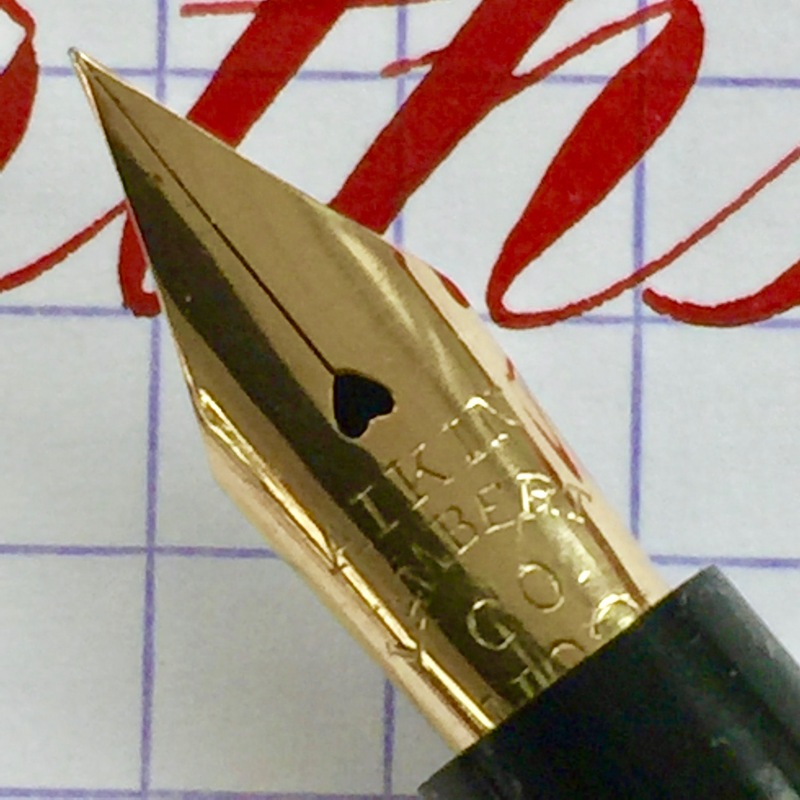 It does have a little feedback as you would expect of a XXF (0.2mm) nib. The flex on this comes pretty easy, and though it doesn’t get massive, it is beautiful responsive. XXF flex nibs are in high demand, and rightly so. 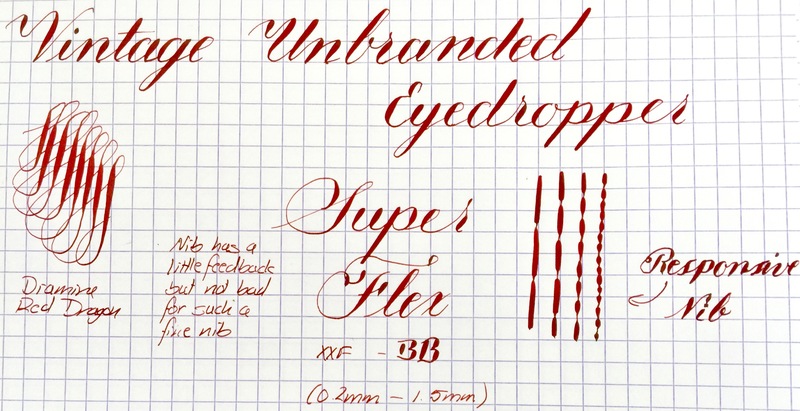 They make flex nib work easy.